Memory card or Flash Drive storage increase, is this right or wrong ? So today I will discuss about the matter, whether it's true or false. How to increase the memory card or any other usb drive capacity, if you search this on the web you will get many results saying that you can increase the memory card capacity to 4GB, 8GB and 16GB etc..
What does it mean by capacity increase of MMC or Pen drive, there are various software available on Internet which can increase the capacity of your memory card, if you have a 2Gb MMC then you can convert it to 4Gb and so on. This information is totally wrong and false positive. Memory stick drive increaser/ Drive Increaser 2 and SDATA Tool are most famous tool to increase the capacity of the MMC. when you use this software it will double the capacity of the MMC and Flash drive etc. What does these software do? These software are just a batch file that change the properties of the MMC or Flash drive not the original space/capacity. Suppose you have convert a 2GB to 4GB then it only shows the properties of 4GB but you can only store data to the flash drive or MMC up to 2GB. 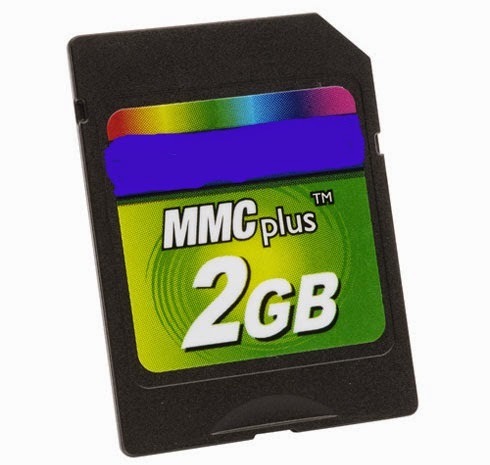 One more thing you can mark that when you format the MMC it will show the original capacity that means after format the MMC it will show 2GB not 4GB. So just think if these software can increase the storage capacity then when format why it come back to the original capacity. So we cleared that this software only write some hidden content or value to the MMC or Flash drive to show the properties value like 4GB, 8GB ,16GB etc. and this is the trick of those software.